A series of 5 classes to help our pregnant mammas prepare for their birth experience. 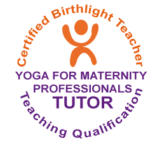 Movement of your baby through your pelvis during birth and how we help this natural process. Hormonal changes in labour, what to expect and how to make them work for you. Birthing tools including massage, sound, relaxation, breath. Feeling empowered, positive and confident about birthing. How to navigate the unexpected. Each class will include a gentle yoga practise, meditation and finish with a deep relaxation. There is time to connect with other local pregnant women, time to relax, nurture the mammas to be and most importantly to celebrate birth! These classes are taught by Helen Macnair who has been working with women in pregnancy for over 20 years. Umina Beach Yoga Shop sells all things Yoga! We stock a wide range of products from eco yoga mats and bolsters to organic cotton t shirts and essential oils.